We aim to have Fellowship Meals once a month after church, where you can bring your favorite dish or just your appetite! Sit down and have a conversation with someone new. During the week: we offer a morning women's Bible study, a men's group that meets at Bodo's, informal table games at the parsonage and random kids' playgroup. We are always open to new ideas as well. During the winter, our church volunteers with PACEM, a group of Charlottesville churches committed to providing shelter to homeless in our area. While our church doesn't have the facilities to house guests for the night, we do volunteer to bring dinner and stay the night as needed. This ministry is a great opportunity to get behind the headlines and get to know the homeless and to understand their needs. It's one small part of a much bigger effort that other ministries are part of, including The Haven and Thomas Jefferson Coalition for the Homeless, to eliminate homeless from the Charlottesville area. CMC is committed to be a part of it. We also support local volunteering through Love, INC (In the Name of Christ), a local faith-based service organization that seeks to meet the needs of the community. This organization has a deep reach into the faith communities in the Charlottesville area and serve as a distribution network of needs and resources. You can find out more how you can make a difference here. A group of us at CMC take time in the summer to volunteer to make dinner at the Salvation Army Soup Kitchen in Charlottesville. This provides a break for the groups who regularly do this during the rest of the year. It's a fun time of fellowship and a great opportunity to get to know our neighbors who are in need. CMC is a enthusiastic supporter of IMPACT--a grassroots justice organization with a "mission to bring a greater degree of justice and fairness to the Charlottesville and Albemarle area." IMPACT examines, researches and works on systemic justice issues. Each year, over 1/4 of our congregation comes to the Nehemiah Action to show their support for IMPACT's latest justice issues. Throughout the year, several of our members actively serve as Justice Ministry Team Members, where we organize and inform our members about the latest issue IMPACT pursues. Go to their web site to see the latest issue(s) and join us! CMC also participates as often as possible with Mennonite Disaster Service (MDS). MDS is a volunteer network of Anabaptist churches that responds in Christian love to those affected by disasters in Canada and the United States. While the main focus is on clean up, repair and rebuilding homes, this service touches lives and nurtures hope, faith and wholeness. 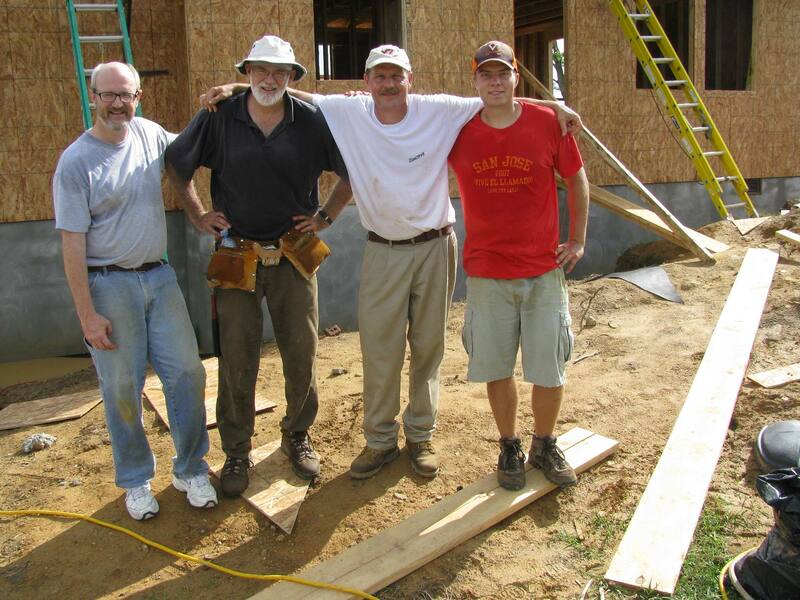 In the Summer of 2011, a group from our church went to Pulaski County, VA to help build a house for a young woman and her family whose house was destroyed by a tornado. MDS also recently (Dec 2012) completed the trim for 7 houses in Louisa that were built for victims of the earthquake back in 2011. All of these folks had total losses on their houses but as of January 1, 2013, they have all moved in! Many of our members also take part the annual Virginia Mennonite Central Committee (MCC) Relief Sale in October each year. Held over the mountain in Harrisonburg, Virginia, the sale supports world relief and development programs of MCC. Visit www.vareliefsale.com to learn more. CMC’s Youth Group is small but dynamic. They have bonded during youth conventions, fundraising events and many other activities. Some of these activities have included Christmas parties, snow tubing, concerts, sports events and pizza nights hosted by the pastors and church members. 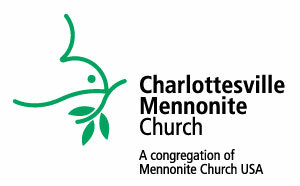 This year (2013) we'll be taking a few of high school members to the Mennonite Convention in Phoenix, AZ!